Growing numbers of British men are going under the knife to get rid of their tired looking eyes and eye bags. Cosmetic surgeons are reporting a rise in male eye bag removal operations of over 300% in 2009. 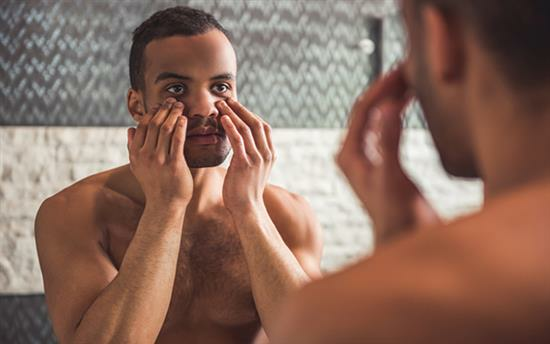 Lower eye bag removal blepharoplasty surgery, which corrects puffy bags under your eyes, is proving popular amongst men aged 35 and over. Whilst blepharoplasty does not remove crow’s feet or other wrinkles, lift sagging eyebrows or remove dark circles from under your eyes experts are saying that a desire to look fresh and awake whilst putting in long hours at work is fuelling the increase. The procedure has also gained more awareness amongst men thanks to celebrities such as Dragon’s Den ‘judge’, Duncan Bannatyne, who admitted he has had eye-bag surgery twice. The problems with eye bags usually start small with a barely visible "pillow" of puffiness just below the lower lid. Over time it billows out further before become the full-blown bag. The cause is a mixture of lifestyle and genes. Plastic surgeon Darrick E. Antell sought medical treatment for this problem. “I was getting so annoyed hearing everyone ask me why I looked so tired when I wasn't tired, or if I had been out late the night before when I hadn't," he said. "So, when I was 32 I had cosmetic surgery on my eyes." Eyelift surgery will benefit both men and women who have excessive, droopy skin around their eyelid or beneath the eye, giving a tired, unhappy, or aged appearance to the face. The increase in men seeking eye lift surgery follows a report from the British Association of Aesthetic Plastic Surgeons, which found that more men are choosing to undergo breast reduction surgeries.